Sergeant Martin Stanton suffered a fatal heart attack after being involved in two separate foot pursuits on September 22nd, 2010. He had been involved in the first foot pursuit while backing up other officers on a traffic stop in front of 3432 West 118th Street. Following the apprehension of the subjects, Sergeant Stanton stated he felt ill, but refused medical treatment and continued his shift. A short time later he observed a subject tampering with vehicles on Montrose Avenue. The man fled on foot when Sergeant Stanton confronted him. Sergeant Stanton chased the man over several fences as he pursued the man through a neighborhood, but was unable to catch him. His condition continued to deteriorate and he passed away at home on September 27th, 2010. 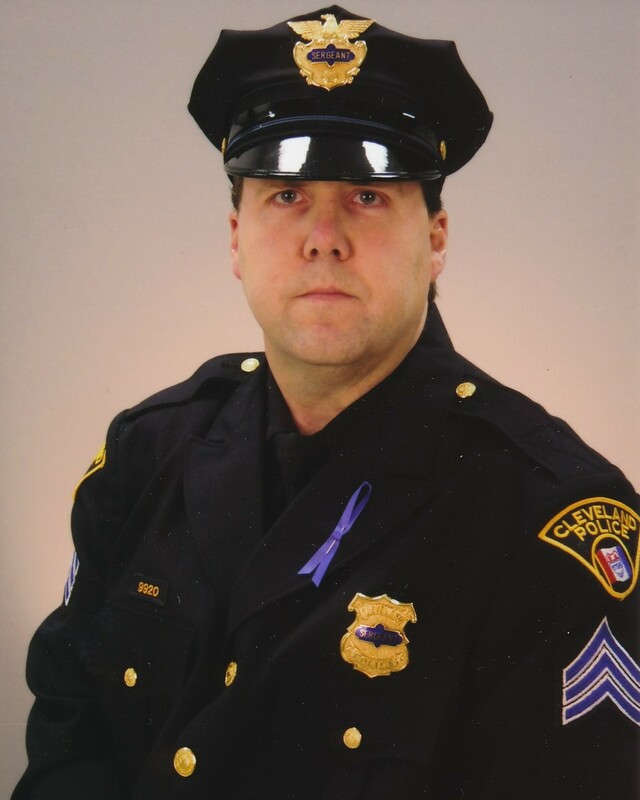 Sergeant Stanton had served with the Cleveland Police Department for 16 years. He is survived by his wife and three children.